Create timeless memories in our signature restaurant, Collins Kitchen with our luxurious High Tea in Style with Cristina Re’s elegant teaware. Experience High Tea in Style with Cristina Re’s signature teaware collection, featuring an array of coloured and patterned vintaged inspired fine china paired with tea cups and teapots, all trimmed in 24 carat gold and presented in Collins Kitchen as part of our luxury High Tea experience. Renowned for creating unique moments of more, Collins Kitchen presents the perfect opportunity to indulge with an extended buffet filled with exquisite signature tastes including sweet and savoury delights where everything has a local connection. The essence of Collins Kitchen is captured with seasonal produce, selecting only the finest ingredients designed to create captivating flavour combinations. Select from pastel cupcakes, delicate melt in your mouth macarons and artfully hand-crafted petit-fours, all made by Head Pastry Chef, Marius Cauvin and inspired by the art of French cuisine. Explore the cooking stations and discover succulent lamb pie, crab salad profiteroles, black pepper prawns and savoury tarts. Perfect for birthdays, anniversaries or any special occasion, High Tea in Style at Collins Kitchen is the perfect celebration. 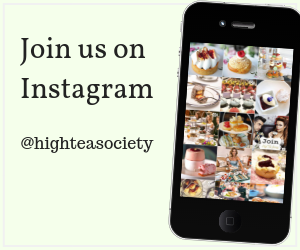 Experience High Tea in Style every weekend from 3:30 – 5:30pm. Billed as the “high tea in style”, the Grand Hyatt’s weekend afternoon tea epitomises chic surroundings and on-trend gastronomy. The Grand Hyatt has upped the ante on Melbourne’s high tea offering with its incredible smorgasbord of savoury and sweet treats. The Grand Hyatt Melbourne has joined forces with designer extraordinaire Cristina Re to launch a boutique high tea experience. 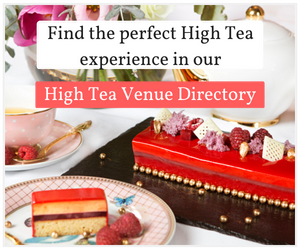 As the name of the hotel suggests this is a grand experience offering a modern high tea.